At Maintenance Connection we care about our impact on the world as much as we do about our products and services. That’s why our MC Gives Back initiative is so important to everyone here at Maintenance Connection. Our staff are committed to making a positive impact on the community and have donated hundreds of volunteer hours over the years either in their local communities or on a global scale. We’ve tackled quite a lot on our international annual MC Gives Back trips in the last few years. In 2011 we travelled to Cambodia and built computer labs in classrooms, in 2012 we went to Costa Rica and helped rebuild portions of the homes of needy local families, and in 2013 we travelled to Mexico to make structural improvements at a school in need of significant repair. This year our preparations are underway for our 2014 MC Gives Back overseas trip to Estonia in August. 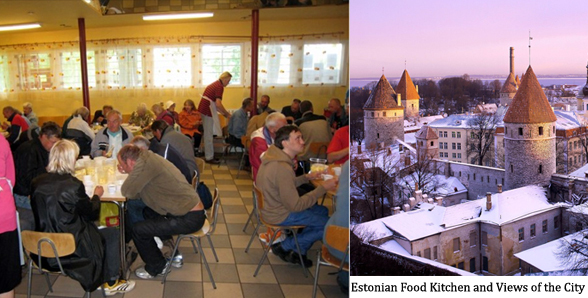 While in Estonia, our staff will spend a portion of their time renovating a Youth Center. Our team will be installing new drywall and building a kitchen and an office. We will also be cleaning and painting a few facilities in Tallinn and South Estonia and then setting them up as new computer labs for use throughout the year. We’re assembling our team of MC staff for this trip and are eagerly anticipating these many ways that we can make a positive impact in the community in Estonia. For those of you who are not familiar with Estonia, it is Post-communist country that borders Russia. The country has been rebuilding since 1991 when they declared their independence. While their strong economy has made recent headline news around the world, there is a lack of vision for caring for their homeless and orphan populations. To read more about one MC staffer’s ongoing dedication to give back in Estonia click here. In addition to our annual trips abroad, we also participate in our local communities to give back. May is our MC Gives Back local month so stay tuned to see where our staff in various parts of the U.S. are going to be contributing their time next month.